We will be adding more live bali Surf cams soon, so if you have a surf cam that you want to display here, contact us. 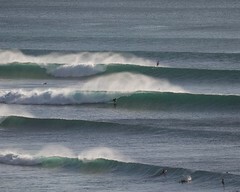 For (almost) daily Bingin Surf Photo Reports check the WaveHaven homepage to see the lastest surf photo updates. The Bingin Bali Surf Webcam has several other on their site, Canggu, Uluwatu and Kerama. Know of any more good Bali Surf cams? Let us know.